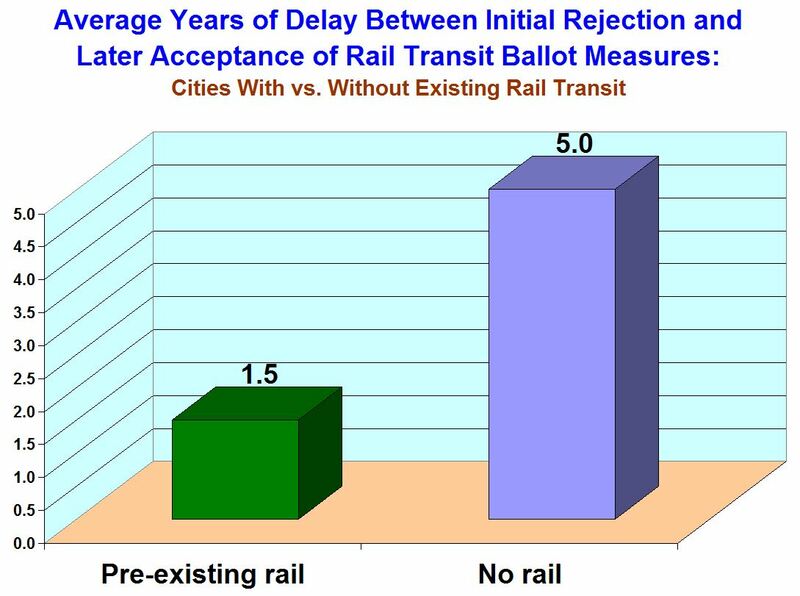 Rail transit ballot measures are critical events. But if one is rejected, is it a “catastrophic” setback for the community? Graphic: RochesterSubway.com. Voter rejection of a rail transit project is almost always unfortunate. But is it catastrophic? 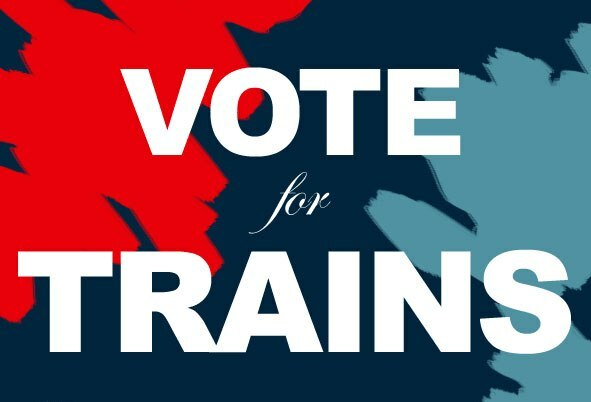 Does it signal that the majority in a community will persistently and permanently reject any rail project, or does it represent a more temporary setback, with remaining hope that a better plan, a better presentation to voters, at a better time, could have a chance to win approval? This issue often arises not only in communities where a rail transit project has unified support from transit advocates, but even in cases where an official plan has faced strong opposition from rail transit supporters. In an effort to mobilize support, proponents of the given project may argue that it may be the community’s “only chance for rail”, that, no matter its deficiencies, a given plan cannot be allowed to fail, because it would be a “disaster”, setting back rail development for decades, perhaps forever. To evaluate the validity of this argument, and assess the actual delay between the failure of rail ballot measures and the ultimate passage of support for a subsequent rail transit ballot initiative, the LRN Project team examined available cases since 2000 where an initial rejection of rail was followed by a successful later vote. LRN’s approach has examined this issue strictly from the standpoint of attracting voter support — in other words, if the issue of rail transit is re-voted, how long does it take to win approval? It should be noted that this study has examined the sequence of events only in cities where, after the failure of an initial measure, a new measure for rail transit (often with a somewhat different plan) was offered to voters. In other cases, poorly prepared or presented rail plans were rejected by voters, but rail planning was subsequently dropped (e.g., Spokane, Columbus) or has proceeded without needing a public vote (e.g., San Antonio). Thus this study has sought to address the question: If rail has previously been rejected by voters, but a new rail measure is subsequently presented for a vote, how long does it take to achieve successful voter approval for rail? 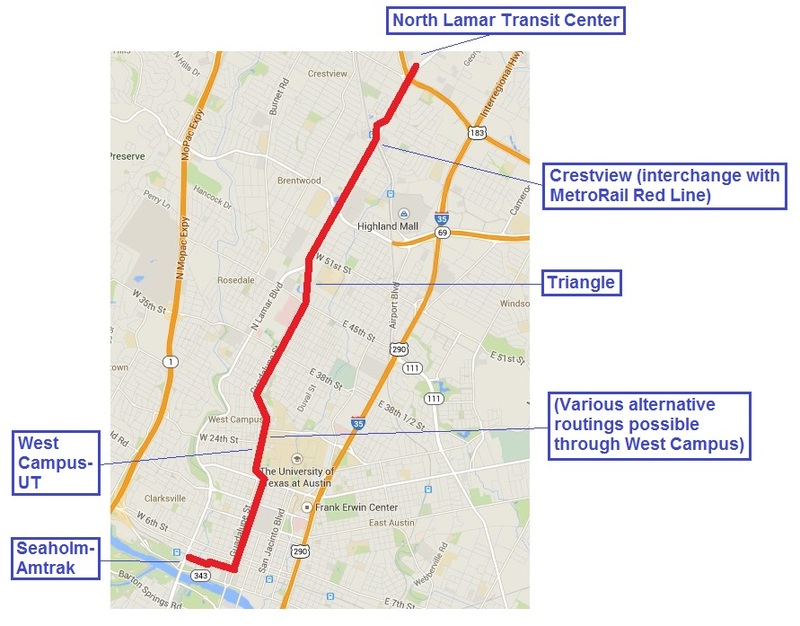 • Austin — A plan for a light rail transit (LRT) system was very narrowly defeated in 2000; rail transit was subsequently repackaged as a light railway using diesel-multiple-unit (DMU) rolling stock, and passed in 2004 (now branded as MetroRail). Delay between votes: 4 years. • Kansas City — An officially sponsored LRT plan was defeated in 2001; a different LRT plan initiated by a citizens’ referendum was subsequently approved in 2006. (However, the successful vote was annulled by the city council; implementation of an officially sponsored streetcar project is now underway without a public vote.) Delay between votes: 5 years. • Cincinnati — An LRT plan was rejected in 2002. Rail transit was subsequently repackaged as a streetcar plan that was forced to a public vote, and ultimately was approved in 2009. (A re-vote, forced by opponents’ referendum, was held in 2012, and the streetcar project again passed.) Delay between votes: 7 years. • Tucson — An LRT plan was rejected in 2002; rail transit was subsequently repackaged as a streetcar plan, then submitted for a public vote and approved in 2006. (The new system, branded as Sun Link, is due to open later this year.) Delay between votes: 4 years. • Seattle — A multi-modal transportation proposal, Roads and Transit, including LRT expansion, was defeated in 2007 (with opposition from environmental organizations and other traditional pro-transit groups, dissatisfied with the plan’s heavy highway element). A new package, Sound Transit 2, was prepared, with much heavier transit emphasis, and presented and approved by voters in 2008. Delay between votes: 1 year. • St. Louis — Proposition M, including funding for the region’s MetroLink LRT system, was defeated by voters in 2008. A new package, Prop. A, aided by an improved campaign, and including funding to improve and expand LRT, was subsequently approved in 2010. Delay between votes: 2 years. From these experiences, it’s plausible to conclude the recent re-votes on rail transit have taken from one to seven years to succeed. This would not seem to suggest that initial loss of a vote results in a “catastrophic” delay of “decades” before a rail transit project can muster approval. Left bar: Average years of delay in cities already operating rail transit. Right bar: Average delay in cities with no current rail transit. 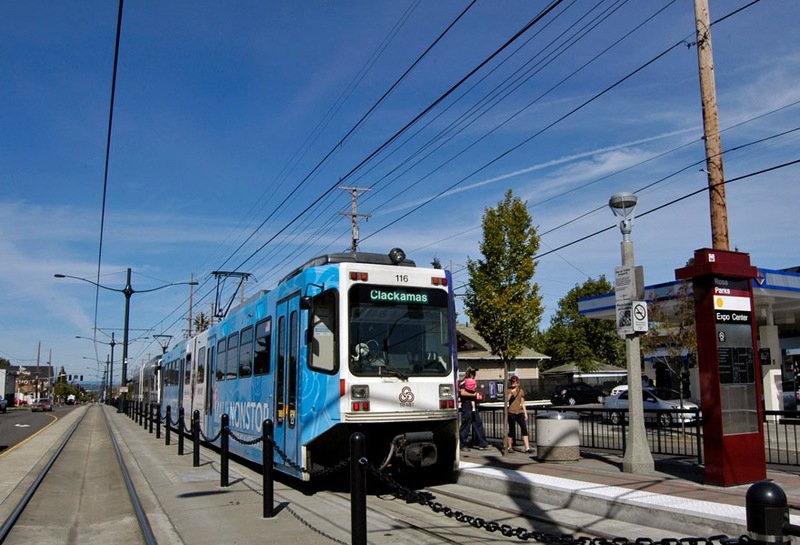 • Conditions for a more speedy re-vote and approval of a rail transit ballot measure may be more propitious in communities that already have experience with successful rail transit systems. • The process of re-submitting a rail transit measure to a vote may depend not so much on public attitudes but on the determination of sponsoring officials, their responsiveness to public input, and their willingness to re-craft specific project details to more closely conform to public needs and desires. Seattle — Link LRT trains (left) and BRT buses share the Downtown Seattle Transit Tunnel, originally installed as a busway. High-quality bus services – often characterized as “Bus Rapid Transit” (BRT) – are frequently portrayed as possible precursors of electric light rail transit (LRT) systems. But can BRT or “BRT-like” bus operations effectively fulfill such a role? This question was examined in a paper that I and my colleague Dave Dobbs (executive director of the Texas Association for Public Transportation, and publisher of the Light Rail Now website) presented to the Joint International Light Rail Conference co-sponsored by the U.S. Transportation Research Board and the American Public Transportation Association in April 2009 in Los Angeles. This analysis has identified certain factors that may optimize the capability of Bus Rapid Transit to function effectively as a precursor of a light rail transit system. However, it is important for planners to keep in mind that initial system design, to permit a transition, is critical, and major challenges and drawbacks must be addressed and overcome. A major consideration is that the BRT facilities should not represent an obstacle to the subsequent LRT project. As noted, BRT-specific infrastructure (including stations) should ideally be designed to be very low in cost so the sunk cost for BRT is not an impediment to eventual conversion to LRT. The examples of actual or prospective BRT-to-LRT conversion in both Seattle and Ottawa (and in fact Guadalajara as well) involve some degree of transit service shutdown or disruption on the BRT facility during the conversion process in these types of “high-end”, exclusive facilities. In contrast, a “lower-end” express-bus type of BRT service can probably more readily continue a parallel service on adjacent highway or arterial lanes (if they are available) during the conversion period – although generally without stations and intermediate interchange of transferring passengers (an essential characteristic of LRT which planners should seek in BRT if the BRT service is intended to offer really the same kind of service as LRT). 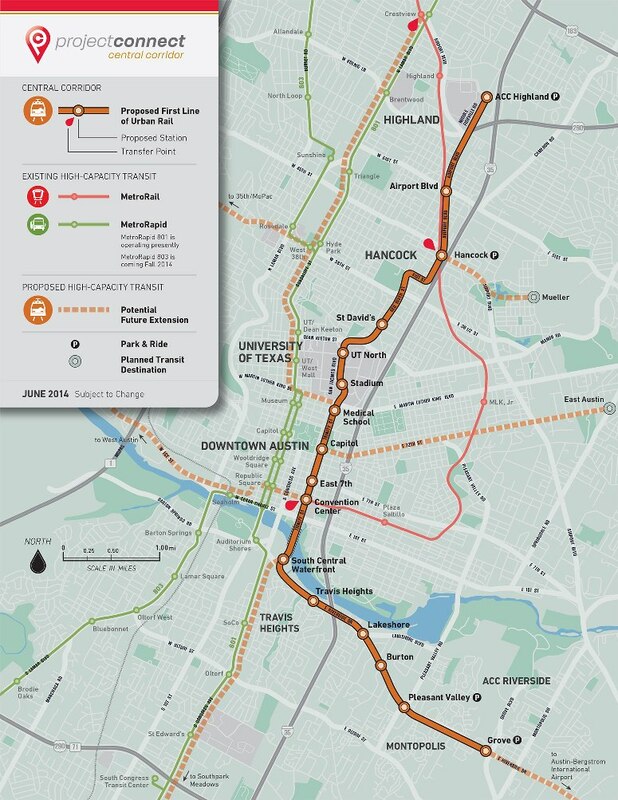 In addition, the staging and logistics of conversion must be considered, particularly to avoid or minimize disruption of the existing BRT-type service while the LRT installation project is under way. In this regard, alignments in or alongside existing arterials provide at least some opportunity for maintaining a parallel BRT or bus-substitute service; on the other hand, alignments that have appropriated railway ROW for BRT (such as the Ottawa Transitway) make it virtually impossible to maintain a true parallel bus service – thus representing a serious obstacle facing conversion to LRT. On the whole, the case studies cited suggest that actual experience is still inconclusive as to full cost-effectiveness of some forms of BRT service functioning as precursors to LRT and other type of rail transit. 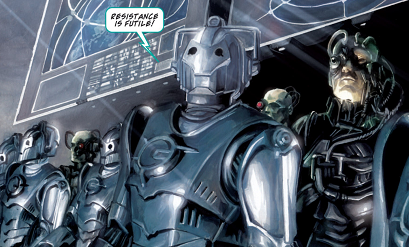 However, several examples approaching implementation in the near future appear to show show promise. As these planned BRT-to-LRT conversions become operational, an updated assessment should be carried out. Bus Rapid Transit as a Precursor of Light Rail Transit?